The Temple of Saturn (Templo de Saturno) served as a significant financial, political and cultural site within the Roman Forum during the later years of the Kingdom of Rome and the early years of the Republic. 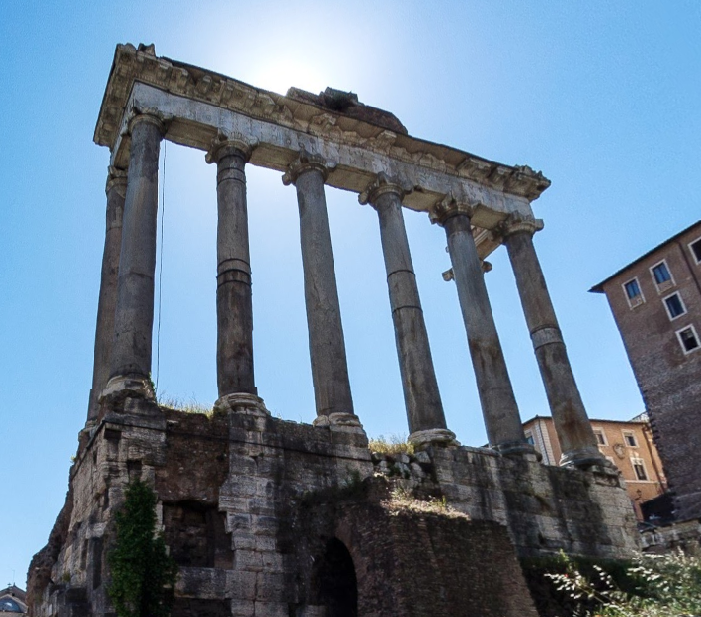 The Temple was located in the north-western corner of the Forum Romanum and at the base of the Capitoline Hill, was built and rebuilt several times both in the BCE and CE eras, with the current structure having been completed in the 4th century CE. Initially built during the rule of the last king of Rome, Lucius Tarquinius Superbus in 497 BCE, it was reconstructed in 42 BCE by Lucius Munatius Plancus, and finally rebuilt in c. 370 CE by the Senate and people of the city of Rome. 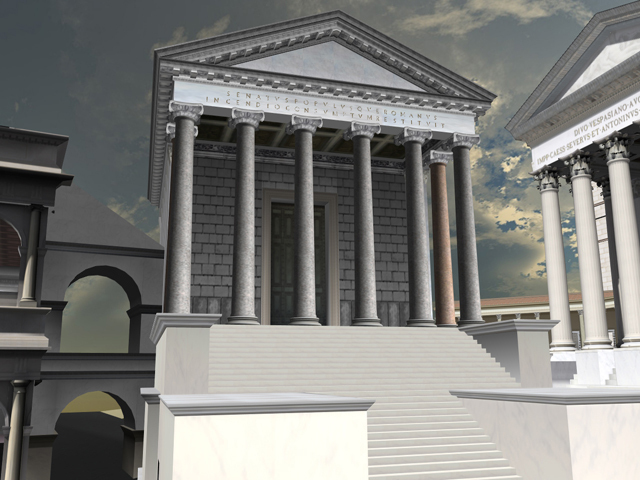 The Temple, dedicated to the Roman god, Saturn, once served not only as a temple to the god’s cult, but also as base for the state treasury, the Aerarium Populi Roman, which was located underneath the temple itself. The Temple of Saturn was constructed in honour of the Roman God of Agriculture, Saturn (the Roman equivalent of the Greek god Cronus). Because agriculture was a prosperous industry, Saturn was further associated with wealth, most likely the reasoning behind the construction of the aerarium (state treasury) beneath the Temple itself. Saturn’s influence over crops and finance was not seen as his only value worthy of worship; the god is also associated with time, freedom and peace, with the annual Roman Saturnalia festival once being held in his honour, and Saturday being named for him (the Latin term being ‘Saturni dies’). 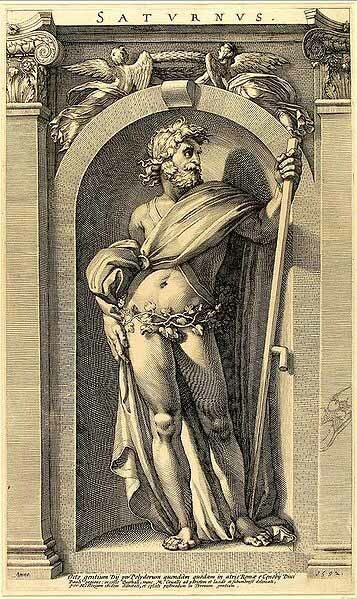 In some traditions, Saturn is shown as king of the entirety of Italy, and in others as an outcast god taken in by Janus (two-faced Roman god of beginnings and transitions) and rewarded a kingdom for the gifts of peace he brought. He is strongly linked with the idea of equality because of the dissolution of social barriers brought about during the Golden Age of his reign. Demonstrating Saturn’s association with peace and liberation, the week-long Saturnalia, held in December, saw all work and business deferred until its end. Slaves were allowed the freedom of speech and action from which they were usually restrained, gifts were exchanged and society was freer in general. This festival and its celebrations were treated similarly to the holiday of Christmas celebrated in Western society today. As a cultural centre within the Forum Romanum, the civic centre of Rome itself, the Temple of Saturn obviously had both political and religious significance to Roman society. Serving as both a treasury of the state and a place of worship for the cult of Saturn, the temple also housed important documents of the Senate and legions. During the Saturnalia festival, Roman citizens from all ranks of society congregated at the Temple of Saturn for the week-long celebration. For this week everyone, no matter their status, had their labour suspended and were encouraged to join in the festivities, which included dance, music and the exchange of gifts, the latter likely being the justification behind the comparison to Christmas. 1. 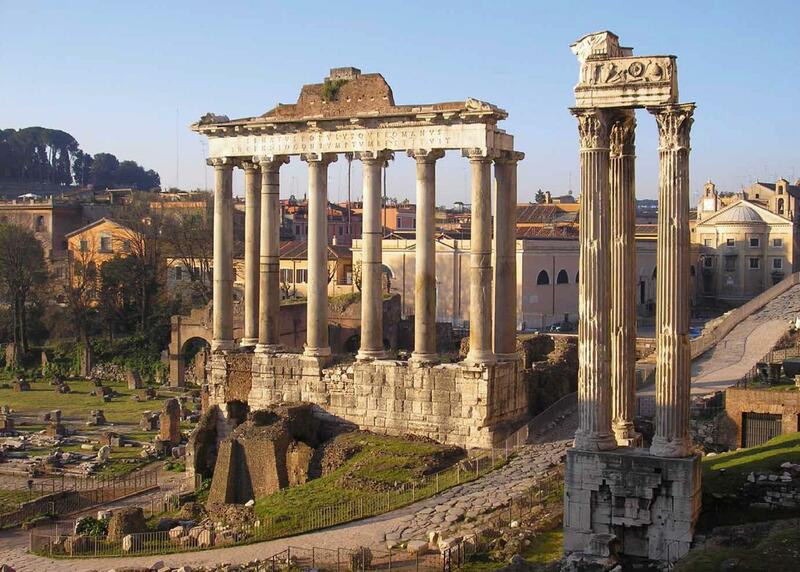 What purpose did the Temple of Saturn serve within Roman society? What was its significance to the people?